The set of high quality hand painted watercolor images. 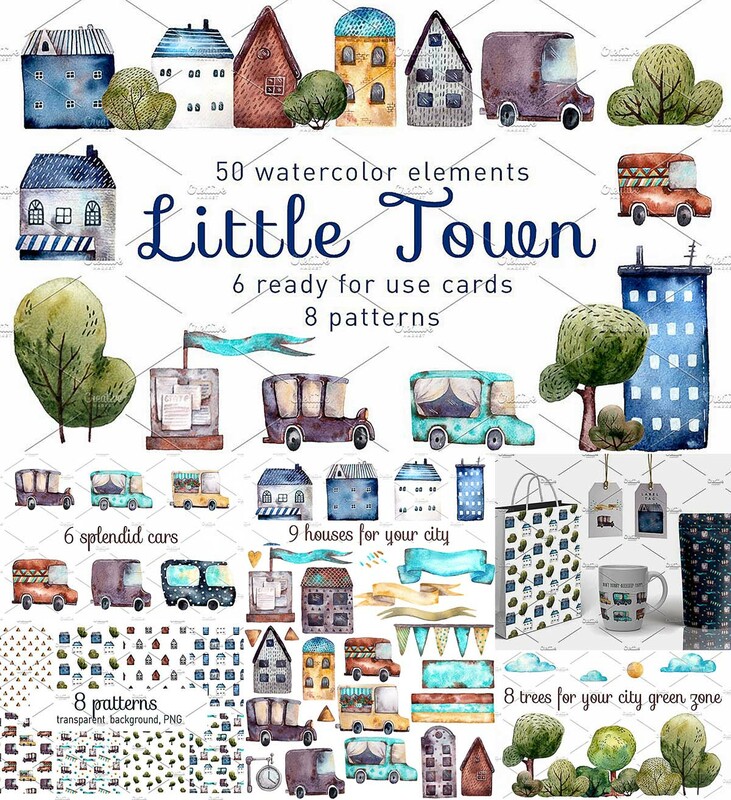 You will get: 50 watercolor images (6 cars, 9 houses, 8 trees and bushes), 6 background nameplates, 21 other objects (clouds, hearts, road and others), 8 patterns (seamless, tileable) in 2 sizes. Free for download. For personal use. 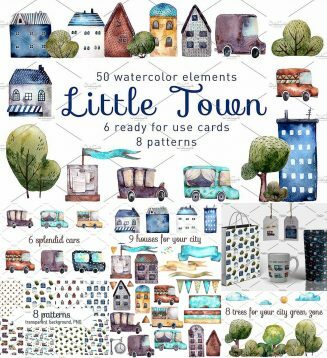 Tags: building, bush, car, city, cute, hand drawn illustrations, house, pattern, scrapbooking, town, tree, watercolor. Евгений, we already fixed it. Try again.